For more traditional Docker deployments, review the single-node and multi-node deployment instructions in this topic, which use the official Couchbase Docker images available on Docker Hub. 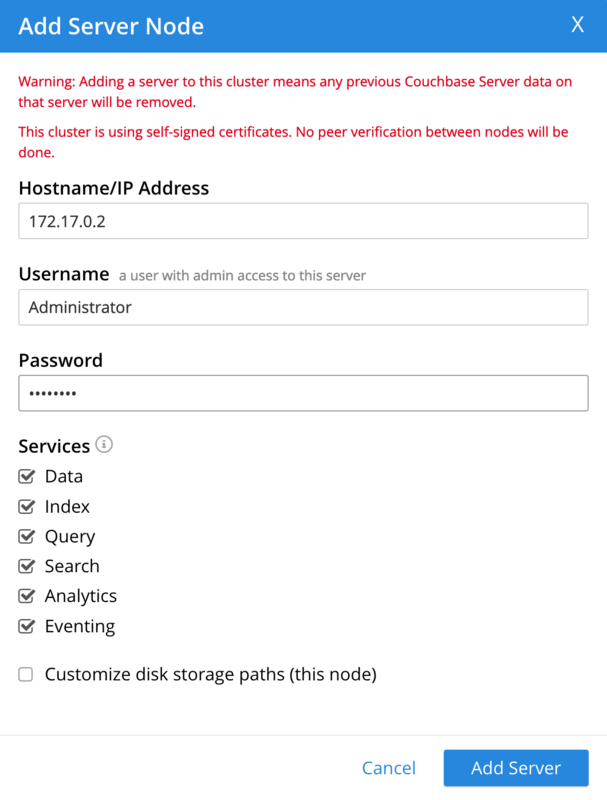 Walk through the setup wizard to initialize the Couchbase Server cluster as normal. Click Setup New Cluster and walk through the setup wizard to initialize the Couchbase Server cluster as normal.